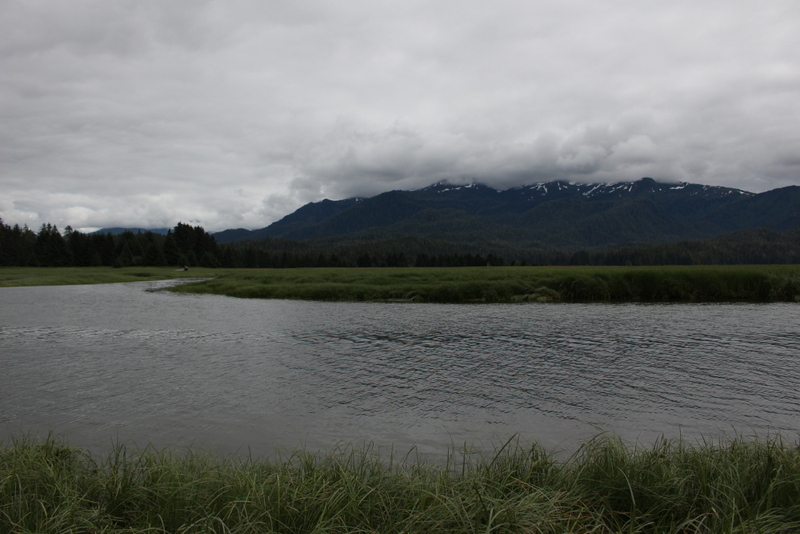 A recent review of hatchery salmon by the Alaska Department of Fish and Game is recommending follow up research in one king salmon river north of Petersburg. King salmon produced at Southeast Alaska hatcheries have been found at a higher level in the Farragut River, on the mainland about 30 miles from Petersburg. Scientists would like to study that issue further. That was one recommendation mentioned during this month’s discussion by the state’s Board of Fisheries. The board October 15th and 16th heard reports on hatchery fish and their potential impact on wild stocks in Prince William Sound and Southeast Alaska. A concern is that hatchery salmon returning and spawning in streams, or straying, could impact the genetic diversity and productivity of wild fish runs. In other streams, straying hatchery chinook have made up less than one percent of returning fish. In the Farragut, occasional sampling has produced estimates of hatchery fish numbers as high as 11 percent. The department this month published a review of the state’s plans, permits and policies designed to protect wild stock salmon from hatchery fish. That review recommends further evaluation of why numbers of strays are higher in the Farragut River. The review found that king salmon enhancement in the region, on the whole, is consistent with state policies for protecting wild stocks. Fish and Game did recommend encouraging hatcheries to mark more of their chinook releases to help track straying fish better. Other long-term research is already underway on straying impacts on pink, chum and sockeye salmon in the region.